It's a complete joke a team hasn't signed the 26-year-old, but as the season draws closer, it's bound to happen. The San Fransisco Giants and Harper reportedly "recently met," and while we knew they were in the hunt for the slugger, this is perhaps the biggest indication yet. 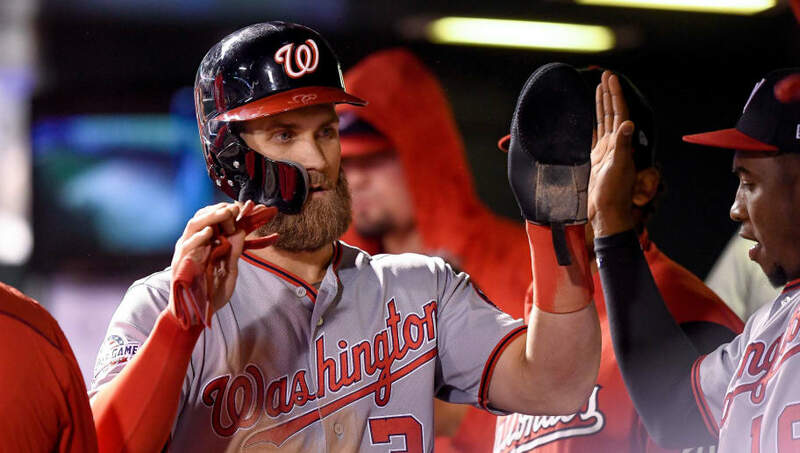 ​​Harper and his agent Scott Boras have their eyes on a big contract in free agency. According to reports, they are aiming for a contract over $300 million, given the fact they reportedly turned down a $300 million offer from the Nationals. Given that the Giants are rarely shy to spend and have a fairly competitive roster, Harper could be a good fit in San Fran. The fact that he met with so many important figures in the organization also suggests this is very real. Harper is a six-time All-Star and won the NL MVP back in 2015. That year, Harper was hitting .330 with 42 home runs and a 1.109 OPS. But 2018 did not serve as one of Harper's better years, having hit a career-low .249 despite finishing the year with 34 home runs and 100 RBI. The Giants can certainly use that type of power and production in their lineup.